Hong Kong has worked to build a reputation as a melting pot for Eastern and Western culture and ideas. It has embraced this multi-culturalism for over 150 years, with a legal system, government and economic system heavily based on the British system. Hong Kong is ideally located to access the strong North Asia markets such as China, yet its model of free market capitalism and westernized business practices have helped it appeal to western entrepreneurs, hence contributing to its foreign direct investment (FDI). The combination of a western business climate and unbridled access to China and other emerging Eastern powers has been Hong Kong’s ticket to success. Since the 1980’s Hong Kong has been a part of the People’s Republic of China. However, its history of independence and highly developed autonomous policies has allowed it to flourish with its previously developed political, legal and economic systems. 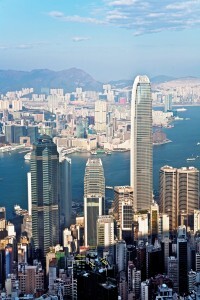 Businesses – At 16.5%, the corporate tax rate in Hong Kong is one of the most favorable in the world. For a Hong Kong offshore company or branch company, all of the profits can be repatriated as well. These types of companies can be registered as their own legal entities, allowing large companies a good way to manage regional business actions. Add these factors to Hong Kong’s unbeatable international reputation, stability as a financial centre and the strategic advantage of having access to Mainland China, and it is an obvious choice for businesses looking to branch in to Asia. Entrepreneurs – What does Hong Kong offer that puts it ahead of other countries for entrepreneurs? One word: ease. Whereas starting a company in other Asian countries can be difficult due to unfamiliar legal infrastructure and foreign economic systems, registering a company in Hong Kong is simple for most entrepreneurs as it is so similar to setup procedures in Western countries. Hong Kong’s position as “the gateway to China” allows an entrepreneur to significantly lower costs due to China’s plentiful suppliers for manufacturing, labour and natural resources. Hong Kong has several secure and successful banks and a sophisticated financial system that makes obtaining funding for projects easy. Individuals & Investors – Hong Kong Company Formation is not restricted to entrepreneurs looking to make profit. This same strategy can provide access to a secure and safe financial system to accomplish other business objectives. Through a Hong Kong bank account, an individual could mortgage foreign property outside of Hong Kong. Alternatively, consultants can use the financial system to hold revenue from clients with only a single cost and tax entity. No matter the objective, involving the Hong Kong financial system adds a degree of security and stability that can be hard to find elsewhere.